Paper Magazine’s summer publication is its first-ever “Sports” issue, and I’m so excited to see one of my pieces in it! 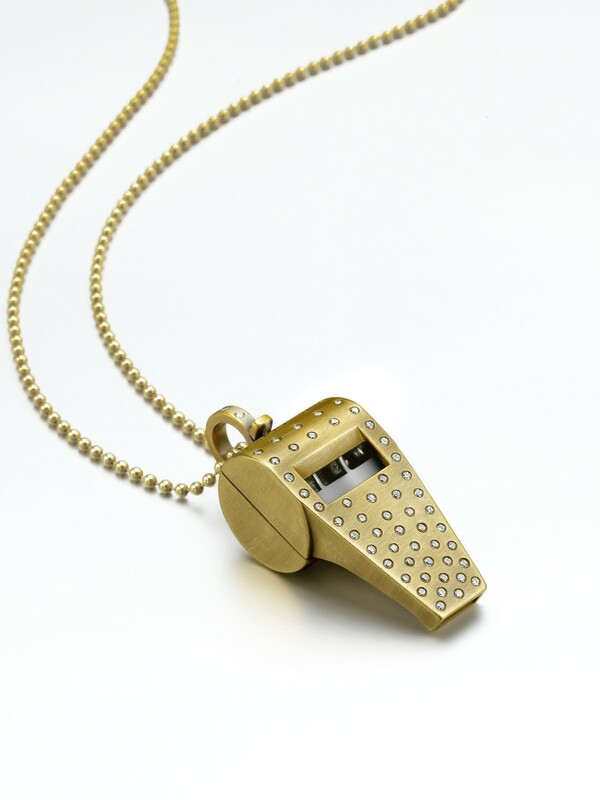 Interestingly, the design is NOT my solid gold Virginia Woolf Whistle. This 18K gold whistle pops open to reveal a tiny wolf inside … and the whistle works! Stylist Shannon Stokes went a less literal route — which I like! 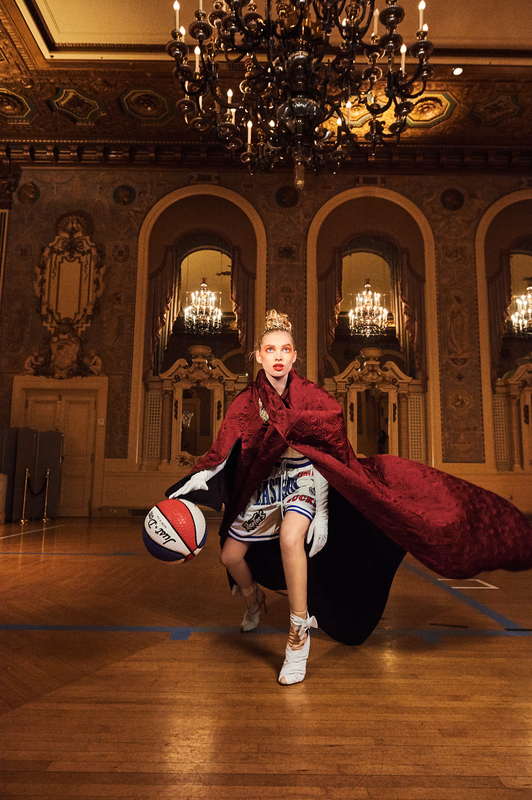 — and used my 18K gold Queen of Scots snake tiara in a “Baroque Basketball” shoot starring Elsa Hosk. Here’s a cropped version so you can really see the tiara. Elsa was a professional basketball player before becoming a Victoria’s Secret model, so that’s how she’s making it look so natural to be playing ball while dressed to the nines. The photography is by Egor Tsodov; hair by Kendall Dorsey; makeup by Liset Garza; and nails by Mary Soul. And thanks again to Shannon for using the tiara in such a fabulous way. The photo spread — and the whole issue — is even more powerful in print so I urge you to pick up Paper from your local newsstand. The one-of-a-kind tiara itself is available on 1stdibs. While I’m thanking peeps for the love, shout-out to Rapaport Magazine for featuring my custom engagement ring redesign on Instagram recently. This one was created a couple of years ago for gorgeous client Helen, and I’m still very much in love with the combination of 18K rose gold and platinum. Check out my original post to see the before and after photos of this design. And if you want a custom engagement ring yourself — or want an old ring redesigned — holla at me at info at wendybrandes dot com.